Over a 30-year span many events can occur. Those who capture these events have the honor to tell a story, whether it’s about politics, history or community happenings. Reporters and writers are often at the center of this. Journalists live a life full of networking and finding out the details, but they each do it in their own way. On Nov. 24, 1940, in Bristol, Virginia, an aspiring writer was born. Emily McDonald, though born in Virginia, grew up in Knoxville, Tennessee, where she would go on to pursue her dream at the University of Tennessee. She attained her bachelor’s degree in journalism in 1963. McDonald worked as a journalist for many different companies over the years, such as The Houston Texas Chronicle, The Associated Press and The Nashville Banner. In September 1969, she began working for The Chattanooga Times, where her writing career really evolved with a variety of subjects and experiences. Many years later, in 1999, the two rivalry papers in Chattanooga, the News Free Press and The Chattanooga Times, merged. McDonald still loved working as a reporter despite merging with the competition. Over the span of writing for both papers, McDonald moved around to many different sections. She wrote stories covering the arts, higher education, real estate and lifestyles and feature articles. 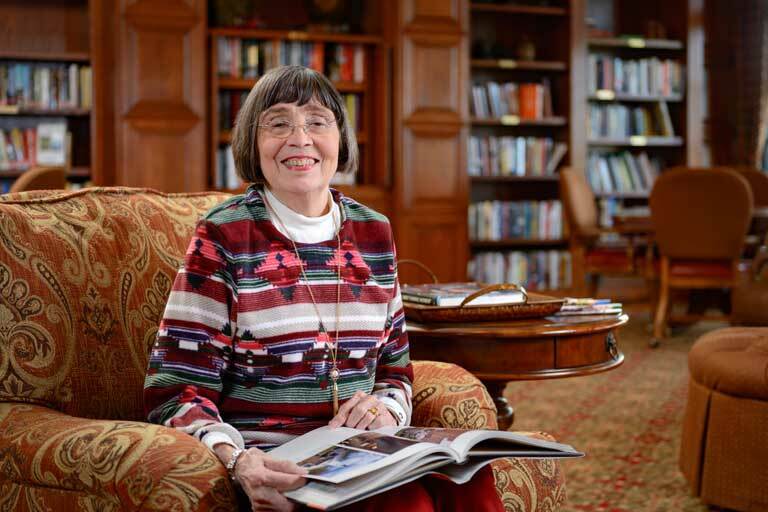 After 30 years of being a reporter, McDonald is retired, living at Garden Plaza of Greenbriar Cove in Ooltewah, Tennessee, but still enjoys writing. “It doesn’t matter what kind of group is coming here, Emily either knows them, knows of them or knows somebody that knows them,” shared Bart Walker, executive director. McDonald has volunteered with Metropolitan Ministries, St. Paul’s Church and the board of the Friends of Chattanooga Library. Now she is on the board of Friends and board of directors for the Collegedale Library and is currently a member of St. Francis of Assisi in Ooltewah. McDonald has also been dedicated to helping at Garden Plaza of Greenbriar Cove.